Bolbometopon muricatum are ecologically unique mega-consumers in coral reef ecosystems. They primarily divide their dietary intake between living scleractinian corals and coral rock, a substrate richly colonized by non-coral biota. Here we examine how the chemical, structural, and energetic content of these two main classes of forage material may influence B. muricatum feeding behavior and selectivity. We then also examine nutrient content, pH, and alkalinity of the carbonate-rich feces of B. muricatum as a step toward understanding how B. muricatum defecation could affect reef nutrient dynamics and localized seawater chemistry. 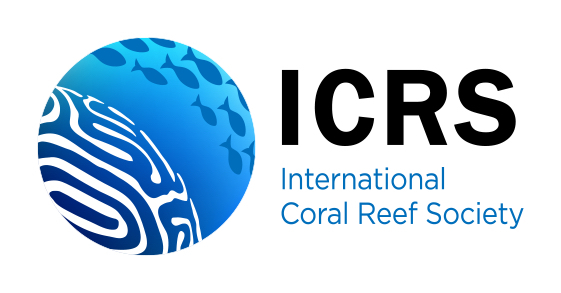 Our results suggest that by most measures, coral rock constitutes a richer food source than living corals, exhibiting higher levels of eight biologically relevant elements, and containing approximately three times greater caloric value than living corals. Additionally, the two forage types also presented distinct mineralogy, with the coral rock resembling a Mg-enriched carbonate phase in contrast to the primarily aragonitic live corals. Despite the fact that individual B. muricatum excrete tons of macerated coral annually, the low measured concentrations of N and P in feces suggest that this excretion may have relatively minor effects of reef macronutrient budgets. We also observed negligible local-scale impacts of B. muricatum feces on seawater pH and alkalinity. The approaches applied here integrate perspectives from marine biogeochemistry, materials science, and ecology. 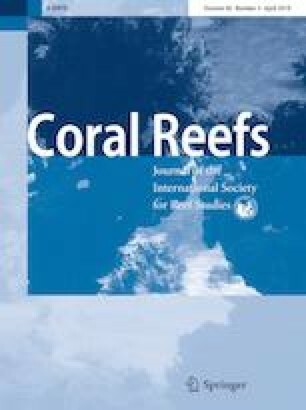 Collectively, these results provide preliminary insight into how reef chemistry could shape foraging of this dominant and vulnerable coral reef consumer and how it, in turn, might affect the chemistry of these reefs. The online version of this article ( https://doi.org/10.1007/s00338-019-01781-0) contains supplementary material, which is available to authorized users. For research permission and invaluable research support we thank the US Fish and Wildlife Service, the staff of the Nature Conservancy, and the Palmyra Atoll Research Consortium. Funding was provided by the National Science Foundation, the Woods Institute for the Environment, the Sloan Foundation, the Benioff Ocean Initiative, and the Stanford University Vice Provost for Undergraduate Education student grant program. TKR and GG would like to thank Drs. Jeff Tok of Stanford’s Soft Materials Facility (Department of Material Science) for untrammeled access to the DSC, Hans Bechtel of the Advanced Light Source (LBNL) for access to the Raman microscope, and Dr. Juan Lezama Pacheco for discretionary time at BL 11-2. Use of the Stanford Synchrotron Radiation Lightsource, SLAC National Accelerator Laboratory, is supported by the U.S. Department of Energy, Office of Science, Office of Basic Energy Sciences under Contract No. DE-AC02-76SF00515.